This Task-Pro 20 inch floor buffer can be used to accomplish any task, including scrubbing carpets with a bonnet and buffing your commercial tiled floors. 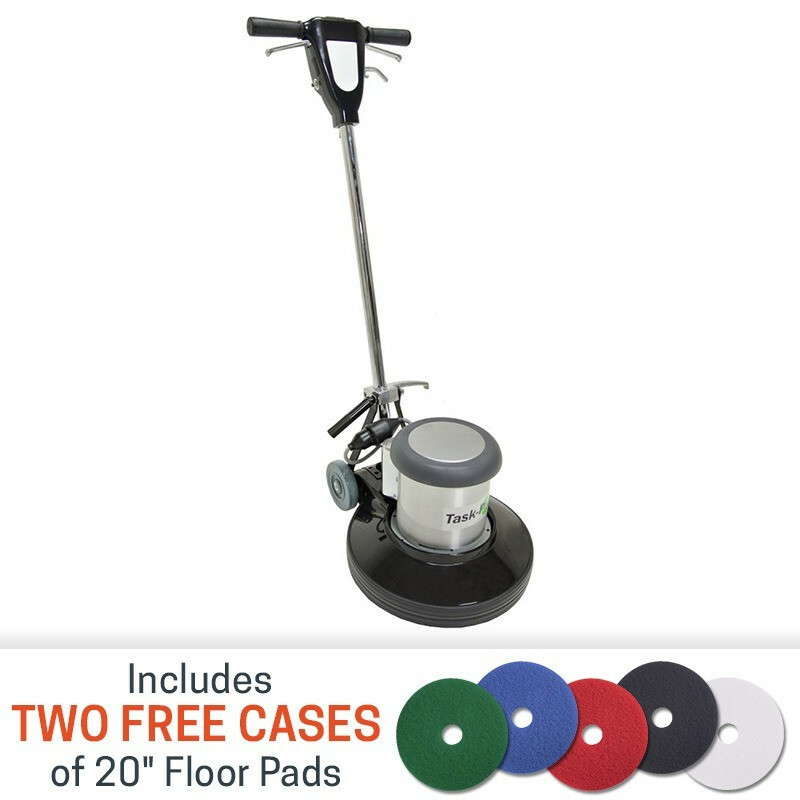 The all metal body and chassis are tough and long lasting-- a great addition to our lineup of 20 inch floor scrubbing machines. Use with our carpet cleaning solutions or floor degreasing chemicals for squeaky clean floors. 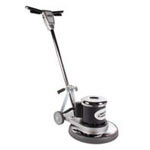 Weighing in at 109 pounds, this 20 inch floor buffer is easy to move around on its transport wheels. The 1.5 horsepower motor, housing, and the triple planetary steel gear transmission with all steel gear box come backed with a 5 year warranty. All steel body and chassis allow you to buff floors for years with this machine. Simple, easy to adjust handle makes the operator comfortable.